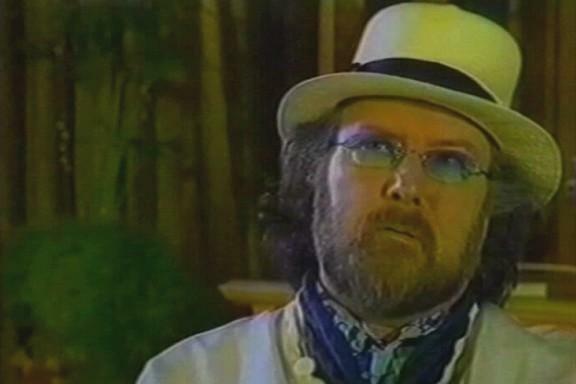 Yesterday I managed to find time to watch a BBC 4 programme I’d recorded which had been screened in memory of Gerry Rafferty who died last year. I had forgotten how much I loved his music. For one thing the progress of technology has meant that since I sold my turntable I haven’t been able to play my LP of ‘City to City‘ and my tape deck went with it, along with my chance to revisit the other music of his I have. This programme brought it all back. I can sense a leaking of the purse about to happen. There was so much more to his art than ‘Baker Street.’ The harmonies and cadences of almost every song are emotionally rich and often hauntingly beautiful. Even though his days, largely because of alcohol abuse, provide another example of the gulf, explored elsewhere on this blog, that can occur between the art created and the life lived, he was greatly loved and is much missed. For a Bahá’í and I suspect for many others who have faith in an invisible reality, his song ‘The Ark’, in the video below, has a special resonance, but many of his songs reached out beyond the mere material dimensions of this existence. I trust that wherever he is all his faults have been forgiven in the light of the legacy of uplifting music he has left us. Funny, I must have missed Gerry Rafferty when I was younger, but I just love ‘The Ark’. Thanks for the video, Pete. It’s rather late to look at and comment on this post but I have to applaud and endorse your comments. I think Gerry”s songwriting and his and his band’s musicianship – best exemplified perhaps on City to City but also on Night Owl and elsewhere — has only grown in stature and appeal since the late 1970s. I also share your high regard for The Ark, a song which deserves to be better known and appreciated. I see it was released as a single in the Netherlands and Germany but nowhere else. Intriguing!